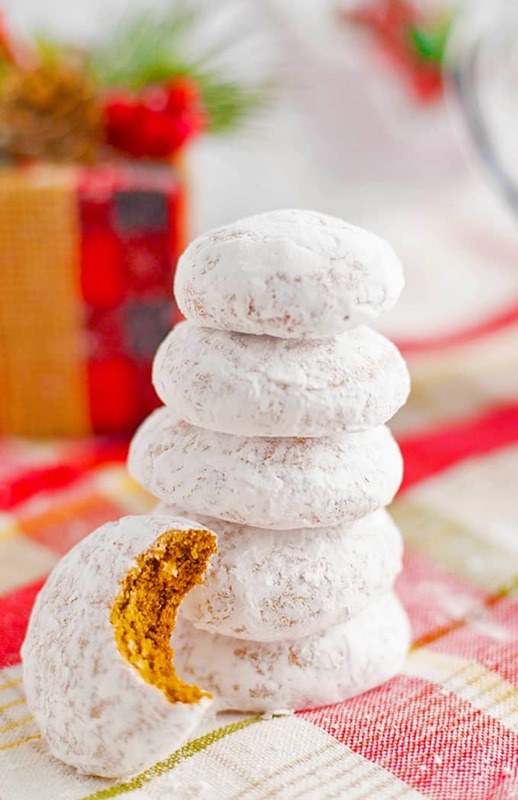 If you are looking to add a new holiday cookie to this year’s Christmas cookie exchange, these German Pfeffernusse Cookies are the perfect solution. 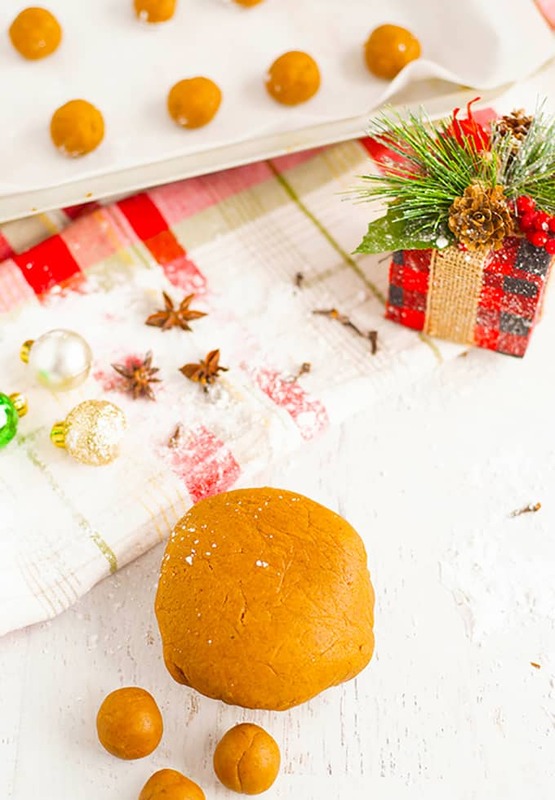 Pfeffernüsse or Pepernoten are kicked-up gingerbread cookies with a sugar coating on the outside. 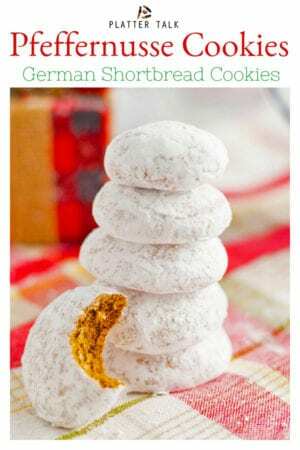 These Pfeffernüsse Cookies come from Germany and are popular throughout the entire holiday season. In the Netherlands, they make a similar cookie known as Pepernoten. In German, Pfeffernusse means “Pepper Nuts”. What’s in these German Gingerbread Cookies? Pfeffernusse cookies feature warm peppery tones for the cold wintery days of the holiday season. What you need to make pfeffernusse cookies. We’re going to start by combining some butter, molasses, and honey in a small saucepan. This combination of ingredients should tell you right away that these are going to be some pretty tasty holiday cookies! 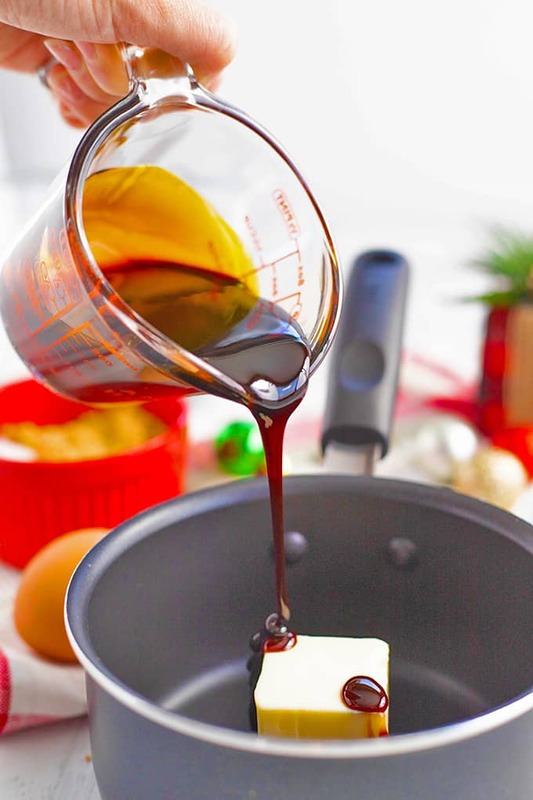 Start with a warm combination of butter, molasses, and honey. Next, you’re going to add an egg and some anise extract to these Pfeffernusse cookies. We’ve used anise before in our Swedish Limpa Bread and if you recall, it has a sweet, aromatic taste similar to black licorice. These Pfeffernusse Cookies start to warm up with the addition of anise extract, but this is just the beginning! Now, you’re going to add a combinaion of warm spices, like cinnamon, cardamon, nutmeg and cloves and the like to this pfeffernusse recipe. 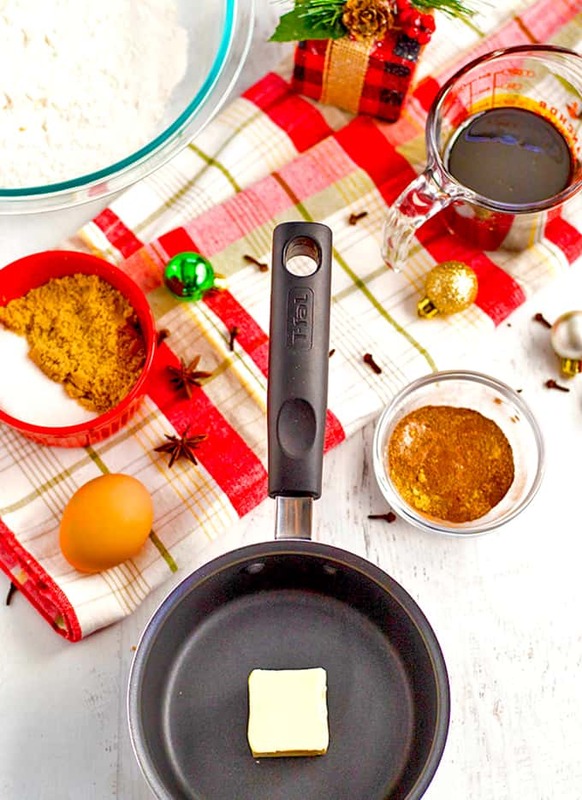 At this point, your holiday kitchen is going to take on an aroma of a German bakery. Don’t be surprised if people and pets of all creeds begin to work their way into your kitchen to find out exactly what you are making. More warm spices are added to this German cookie recipe. Now, it’s time to take a small break in making these cookies and allow the dough to chill for an hour or so in your refrigerator. This is a great time to do some online shopping and maybe sit back and have another cup of coffee. Let the pfeffernusse cookie dough chill before rolling out the cookies. Once the cookie dough has chilled a bit, it’s time to bake these pfeffernusse cookies in a hot oven. It only takes about 12 minutes in a 325° oven for these cookies to finish baking. By now it is common to have a small crowd gathering in your kitchen to ask what from what part of heaven did these cookies come. 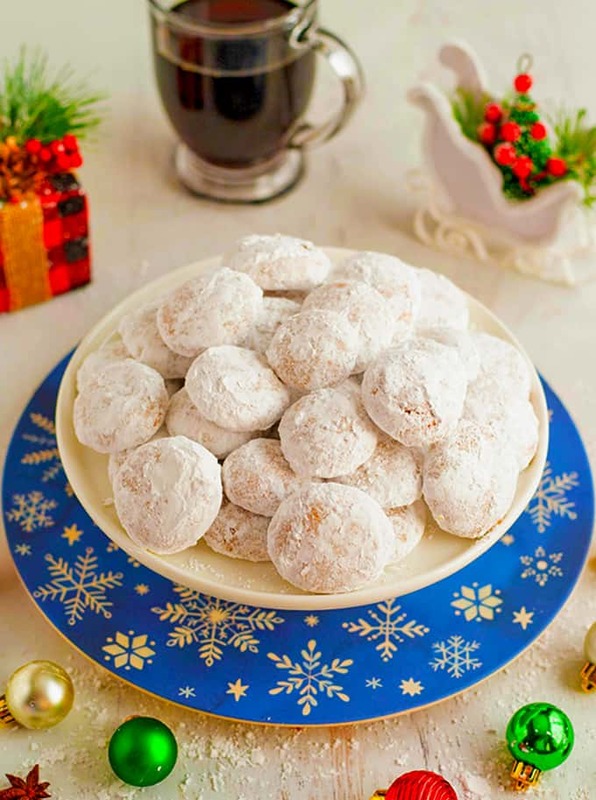 Traditionally, these pfeffernusse cookies are glazed in a simple powdered sugar and water icing. Instead, we prefer to roll them in some powdered sugar and then get down to business. 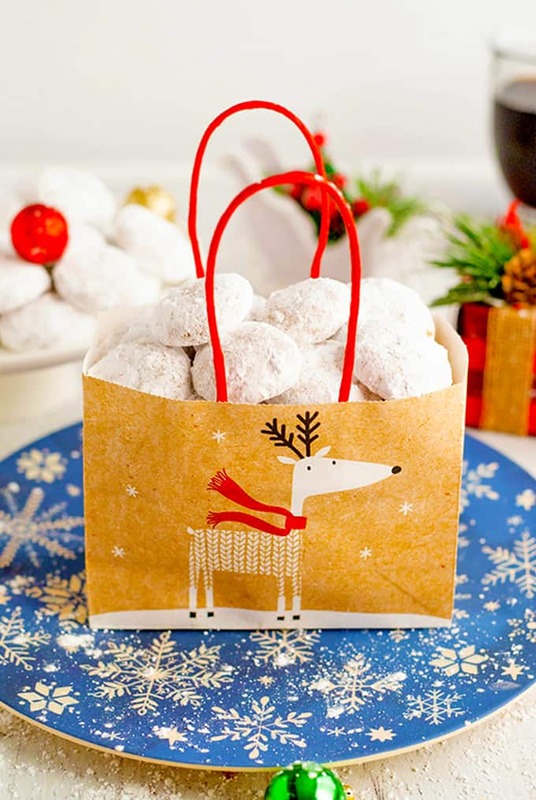 Roll the finished pfeffernusse cookies in powdered sugar. The next and last step of making these pfeffernusse cookies is one of the most challenging. Allow them to cool before you roll them in a coating of white, fluffy and sweet powdered sugar. I never seem to have the willpower to wait that long. Plus, I find they taste just a little better if still warm. Isn’t that true of all cookie recipes?! 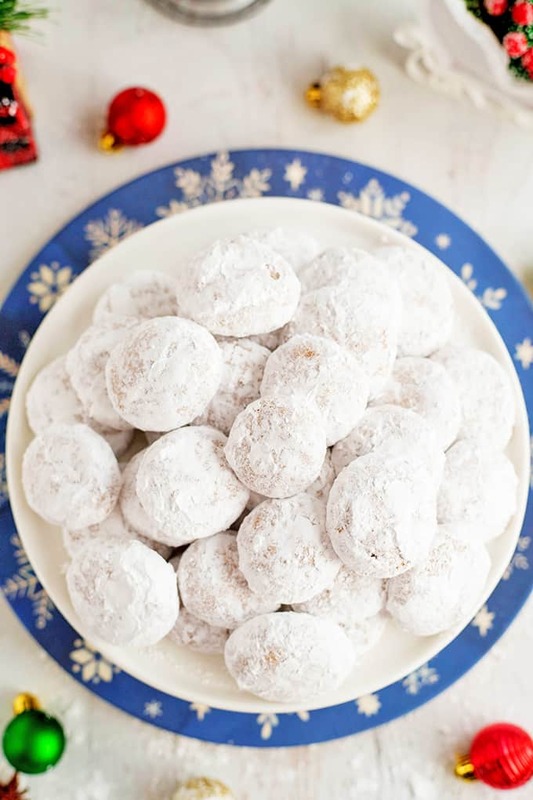 These pfeffernusse cookies are perfect for any holiday cookie exchange. These pfeffernusse cookies are great for this year’s holiday cookie exchange, and they store well if made ahead of time. You can keep them in an airtight container and they stay fresh and delicious tasting for up to two weeks! 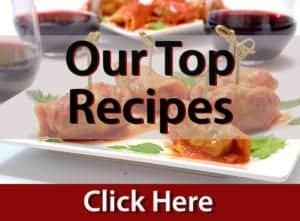 Check out all of our own Freaky Friday Recipes from the past. 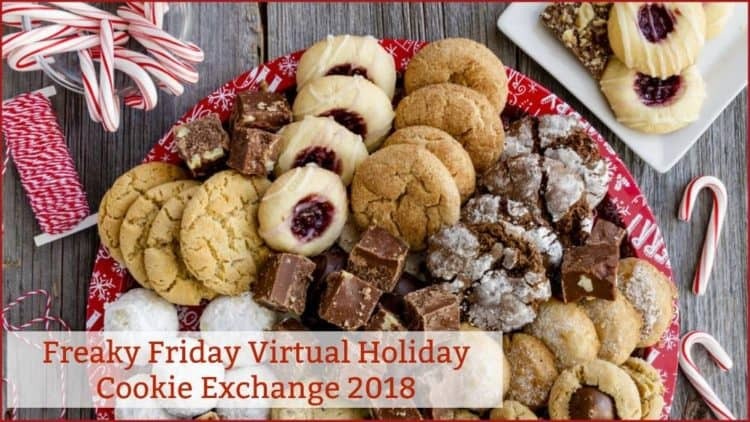 We bring these Pfeffernusse cookies to you as part of our seasonal blog hop called Freaky Friday. This is a group of bloggers who are secretly assigned the task of recreating the recipe of another group member. For this round of Freaky Friday, we were matched up with Mildly Meandering, an awesome food blog that is produced by Madi Vachon, a young lady who is an English major at Michigan Tech, the alma mater of our very own Scott from Platter Talk! 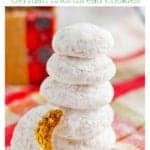 Pfeffernüsse Cookies are a German shortbread cookie that will add warmth and flavor to this years holiday cookie exchange! 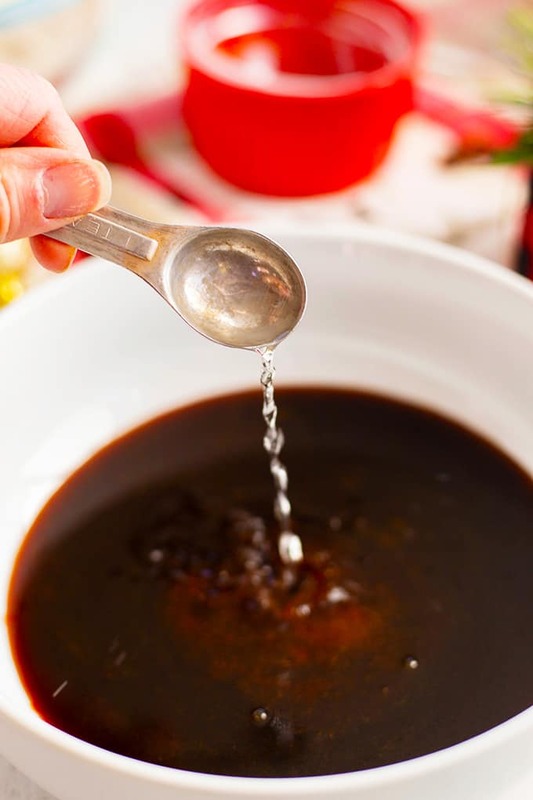 Use a small saucepan and combine butter, molasses, and honey over medium-low heat. After the mixture has melted together, remove from heat and allow to cool. Add the egg and anise extract, stir it in and set aside. 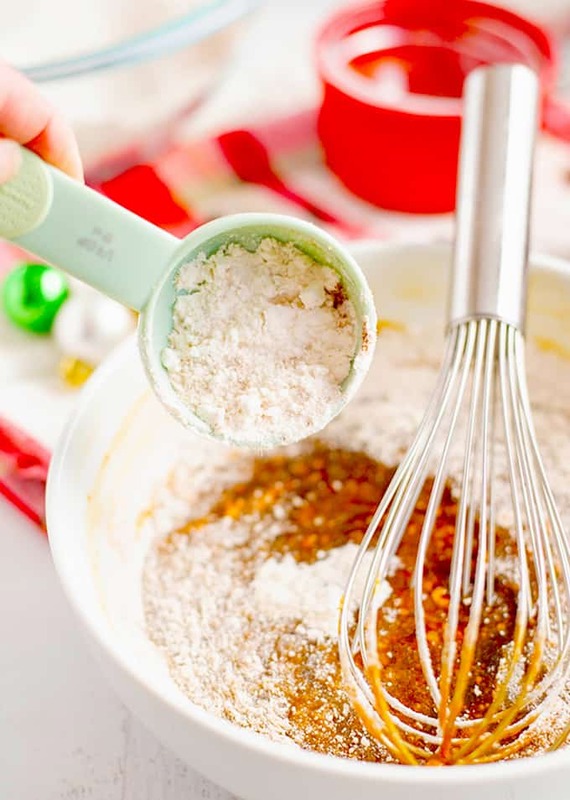 Use a large mixing bowl and mix up the remaining dry ingredients, except for the powdered sugar. Combine the dry and wet ingredients and form into a ball of dough. Wrap it up in plastic kitchen wrap and allow to cool in the refrigerator for an hour. Preheat your oven to 325° F and line a baking sheet with parchment paper. After the dough is chilled, roll out the cookies into 1 inch balls. Bake for 12 minutes and allow to cool. Roll in powdered sugar and enjoy! Pin this Recipe for Pfeffernusse Cookies for Later! Gorgeous photos of a delicious cookie! These cookies certainly do look delicious and would be a welcome addition to cookie trays! I’ll be trying them very soon, thanks for sharing. These bring back so many happy memories from when we lived in Germany. I’m going to have to surprise my family with these for St. Nicholas Day on the 6th. Hope I can easily find anise extract. Gorgeous photos! Love the festive decor. I can’t deny that it’s the spices and molasses that make these cookies so absolutely amazing!! These sound wonderful! Love the combination of spices. What a special treat for the holidays! Beautiful photos friends! These are perfect for Christmas! 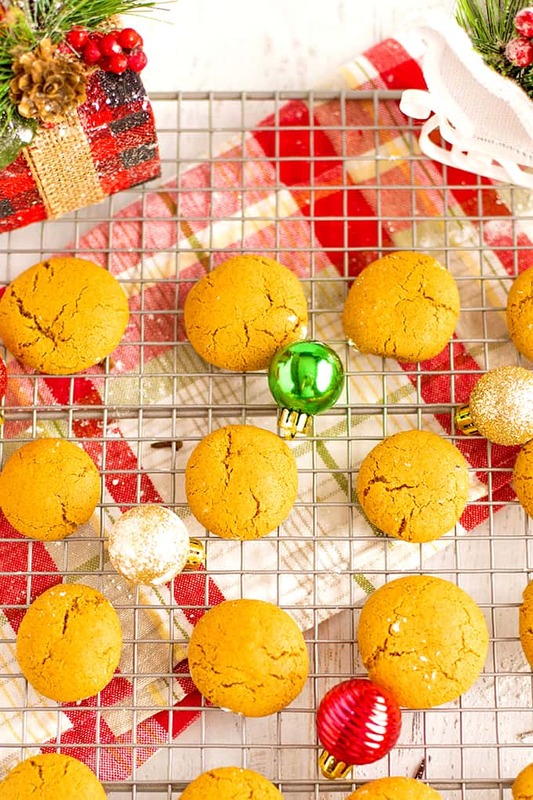 I can only imagine how amazing your home smells when baking these cookies, ooh those spices! They look amazing and I can’t wait to give this recipe a try! 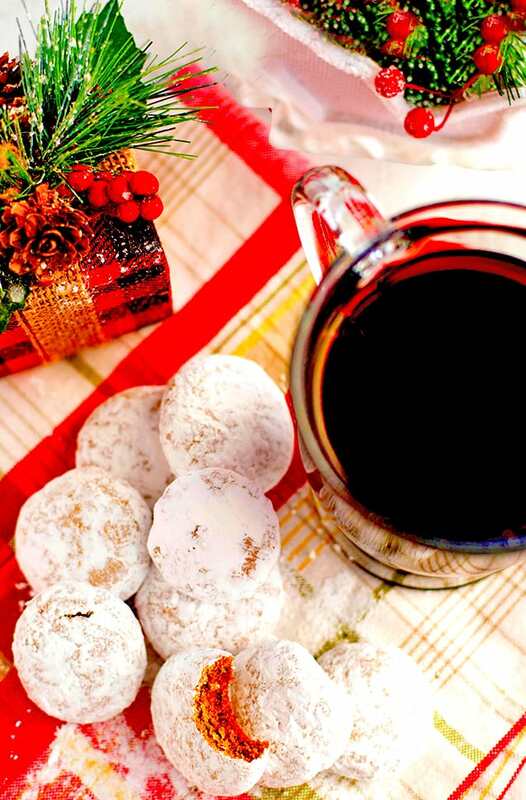 I love this Christmas cookies, because it is spice laden and perfect with sweetness . When it baking your house fill with aroma of Holidays cheers. I love that. your recipe is excellent. How perfect these cookies are! My kid will love to roll them in the powdered sugar! Yummy! Warm spice cookies that are so comforting. These are such a nice traditional cookie that I need to make soon! I cant wait to try these…. they just make me think of Christmas! Merry Christmas to you and your family~. its been so fun getting to know you and yours through your website this year! Oh, these are my favorite shortbread cookies. My kids love these so much. Such a classic and always perfect this time of the year. 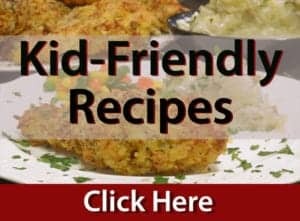 I’m so glad you chose this recipe, it’s one of my favorites! Your pictures are lovely! These look absolutely amazing. I love the spices and flavors. I’m putting this on my list to prepare for my family for Holidays. I’d love to dive into that stack of cookies and I’d be following everyone else into that kitchen while they’re baking! That little reindeer sack is just adorable. Maybe Santa will put that bag with those cookies under my tree this year! I’d say chances are good that this could happen since once again it appears that you are at the top of Santa’s nice list! Merry Christmas to you and yours, dear Julie! My in-laws are from the Appleton area and make these cookies every year from an old family German recipe. In their recipe the cookies are small and crunchy and they don’t have powdered sugar. They also use lemon zest and crushed walnuts. I love the old tradition with these cookies! So many memories! I would love to try a batch of those! Next time you’re visiting Appleton, please let us know so we can meet properly – over a dish of something delicious!